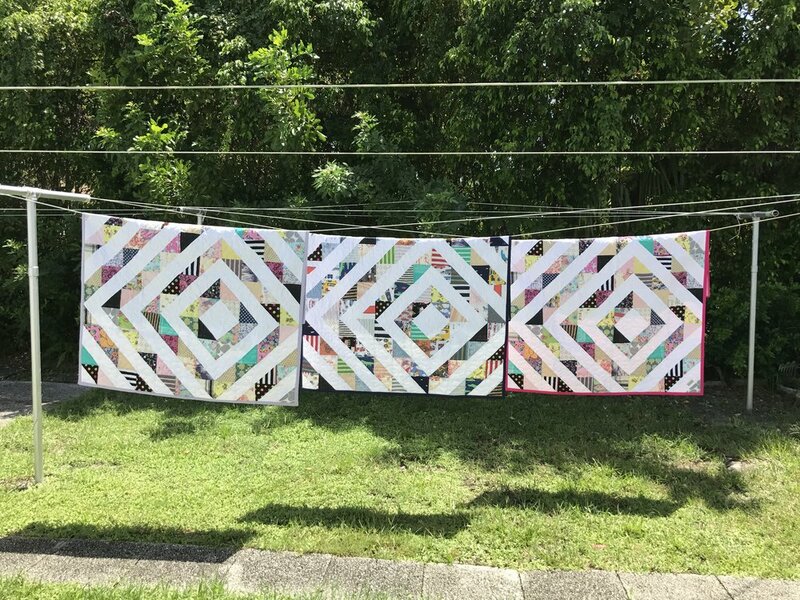 The kaleidoscope quilt is one to WOW. This quilt comes in 6 sizes. The number of items needed for this quilt depends on the size of the quilt you desire. This quilt is a fresh and modern look, making it very different from our other two styles. Any type of material is able to be used, however details like ruffles, words, whole graphics, etc. are better displayed on our other styles. this style is best if you have a lot of small prints or solids. Don’t let the numbers of items worry you, it’s just a general suggestion. We can work with any amount!